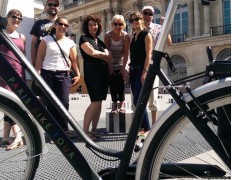 Let your clients, guests or employees be guided by the pioneers of guided bike tours of Paris. Theme-based, classic, combined recreational, original personalised tours or event-planning – we respond to whatever you need within Paris and the surrounding area. Whatever type of event you want to organise, we will put everything into place for you to achieve your goals. On your next free day in the midst of a work seminar, why not offer a relaxing,memorable moment for your team members in Paris? A perfect idea for Team Building and Incentives, our fun-filled Scavenger Hunts are easily customizable. For your work seminar team, what better way to unwind than taking part in the favorite Parisian pastime? 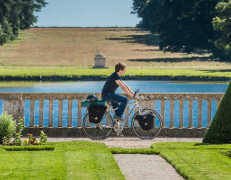 Entrust us with your plans for a great bike tour in Paris. 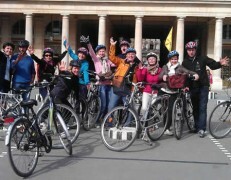 Set things in motion with Paris Bike Tour! Rich with 15 years of experience in event planning and team building we have a wealth of resources available to respond to all your needs. Whatever your requirements we are there for you, adapting and creating the most unique and memorable event experience. Equipped with a long history of event planning and team building we are quick to respond to your wishes offering a wide variety of options to best suit your needs. Our drivers and mechanics are specialists in insuring that group events are carried out smoothly and securely. Our Conference Guides and Hosts are driven by a passion for Paris. Embodying this distinct quality all our events and tours proudly distinguish themselves from the rest. And our partners are carefully selected to respond and receive in the warmest and friendliest way. We pass on what we experience and share this conviviality of spirit to all our clients. 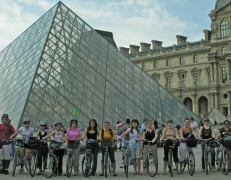 We offer the largest fleet of bicycles in Paris. 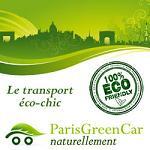 Available at our agency, ideally located in the heart of the city or delivered anywhere in Paris and the surrounding area. And from a bachelorette party to the opening of Fashion Week we pride ourselves in preparing your bicycles with the accessories and motif that you desire. Just show up, enjoy the ride—we take care of the details. Discover the classic monuments and sites. But more than that, uncover the anecdotes, secret alleyways and history that make Paris what it is today. 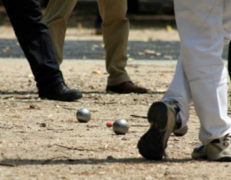 And for a change of pace add a rally, a friendly game of pétangue or whatever may strike your fancy. Something else? Go for the wine, cheese and pastry! Let your taste buds lead you with the ‘Marais Gourmet’ tour. Or do a picnic; each park in Paris has its own style and appeal. Pick a spot and lay out the blanket with all the local, fresh products and delicacies. There’s no better way to indulge. Tell us more of where you’re coming from and what you want. We’ll advise you on what tour best suits your specific profile and needs. Whatever you wish—made-to-measure tours are always available.